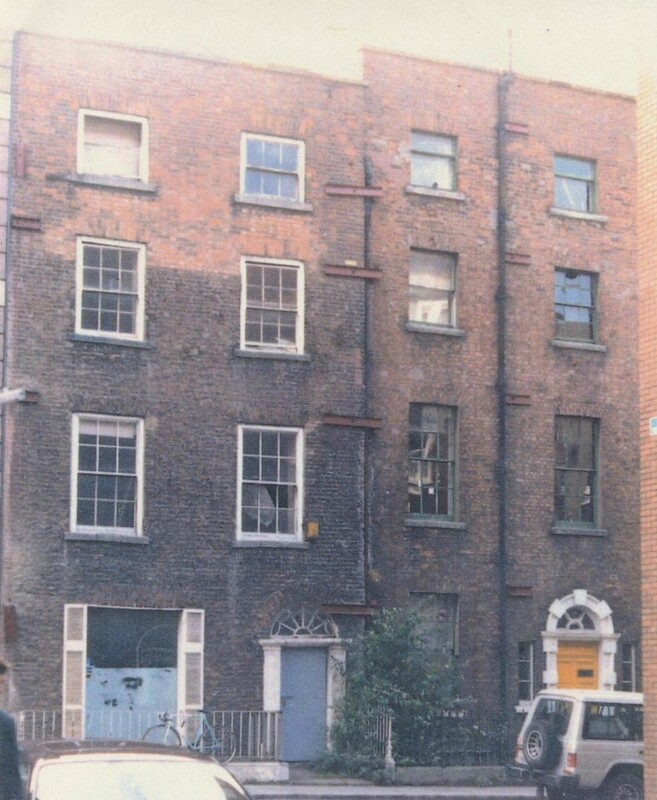 Number 10 was one of two houses (along with Number 11) on South Frederick Street owned by New Ireland Assurance. 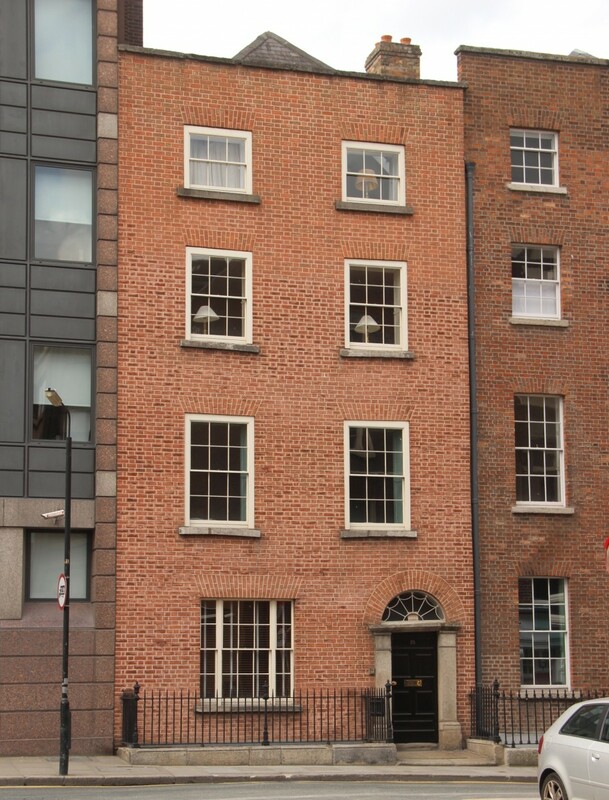 The company had started a programme of development on Dawson Street in the 1960s and progressed into buying up the west side of South Frederick Street in subsequent years. As the firm had been unable to purchase Number 12 from Miley and Miley solicitors, Numbers 10 and 11 were spared demolition and retained as site offices for the entire building complex that was erected alongside. When work was complete in the early-1990s, New Ireland costed the price of demolishing the pair of houses and erecting a block of apartments on the site. 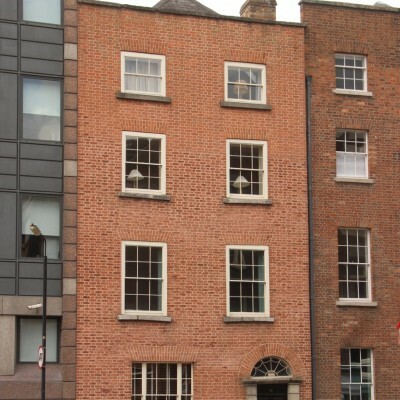 Fortunately for Dublin, the financial climate was not conducive to such an action and the Trust saw an opportunity to acquire the houses and restore them, assuring their future. 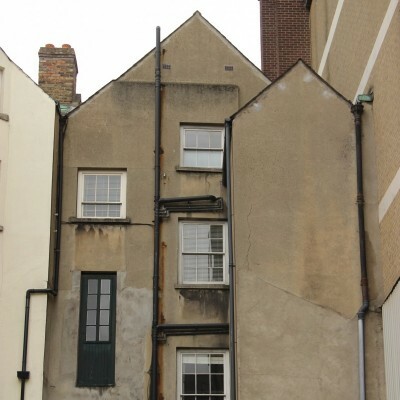 The houses were acquired by licence from New Ireland Assurance Company on the basis that they would be restored by the Trust as its first restoration project. This action would also fulfil a planning requirement on the part of New Ireland to retain a residential content in their large development site spread over three adjoining streets. 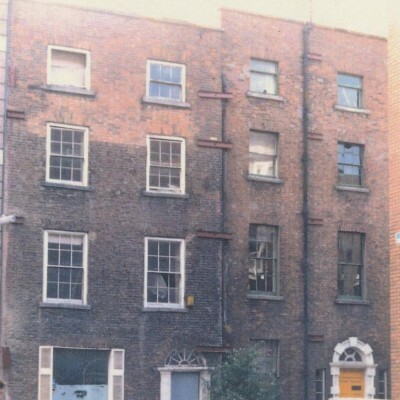 Opposite: Numbers 10 (left) and 11 (right) prior to refurbishment in the early 1990s. Both houses exhibited major structural problems and were effectively held together with tie bars and steel plates. 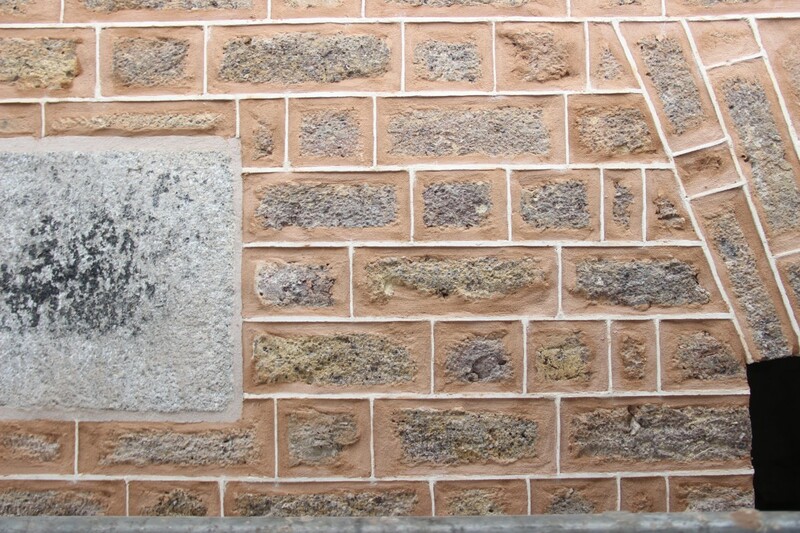 Number 10 was in a much poorer structural condition than Number 11 when the Trust first embarked on a programme of refurbishment in 1995, to the degree that it was doubted if the front façade of the building – which was showing extensive brick delamination and bowing into the street - could realistically even be saved. 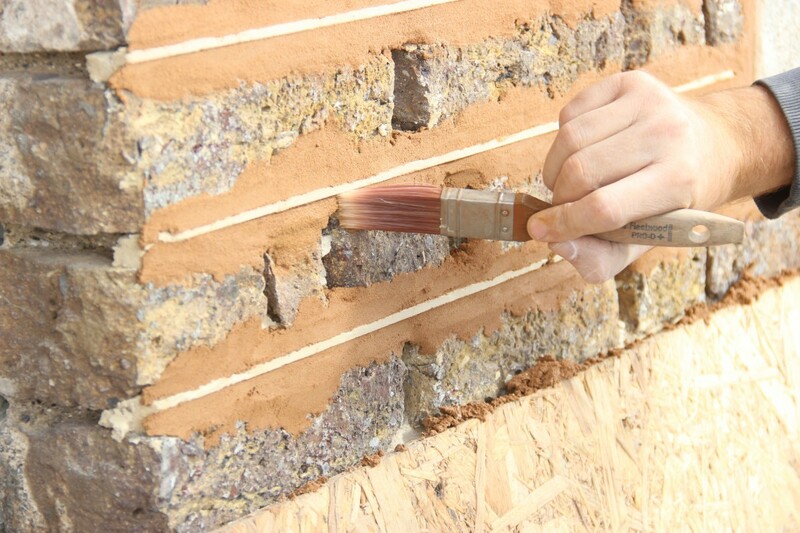 Following extensive on-site assessment and devising of structural design strategies, a method for bracing the front wall was developed based on a series of concrete angle-straps at wall junctions and insertion of metal ties into the walls and floors. Rotten window and door heads were replaced and all leaking rainwater goods – the cause of so much damage in the past – were made good. The roof structure was comprehensively repaired and slates and ridge tiles were replaced where necessary. All interior floors were reinforced with double joists to aid the rigidity of the wider structure and floor timbers were spliced or renewed where needed. Existing lath and plaster ceiling reinforcement was also undertaken. 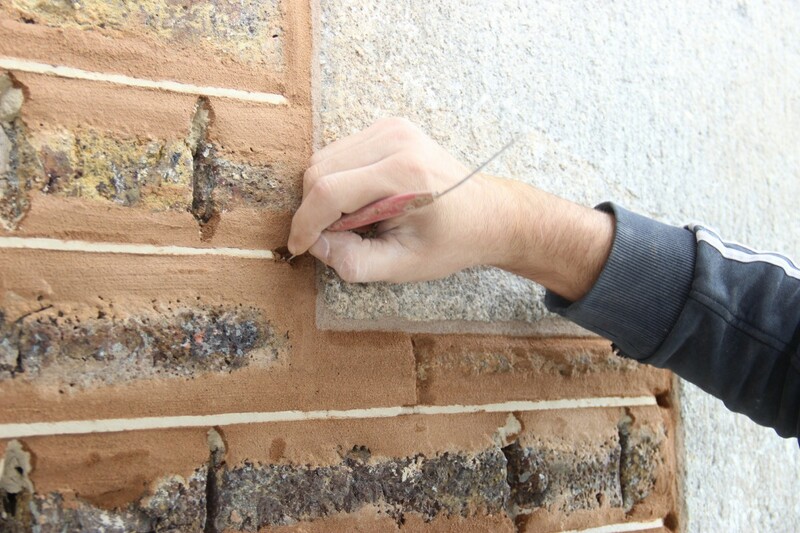 To the front façade, the daunting task of cutting out approximately 30% of the brick that had decayed was carried out by hand and similar matching brick was sourced from reputable salvage. 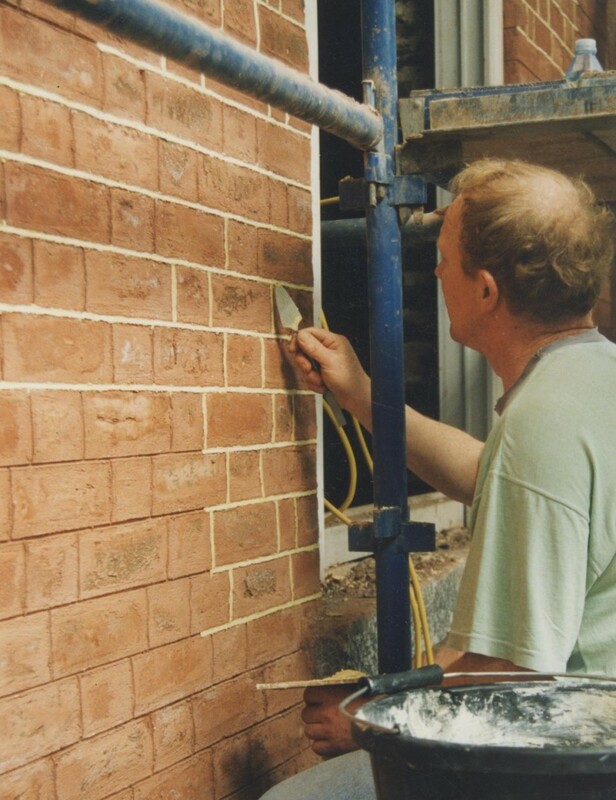 To unite this brickwork, as well as a mismatched red brick that had been used to rebuild the parapet in the past, the entire façade was hand-dyed using a breathable coloured wash that achieved a satisfactory consistency of colour. 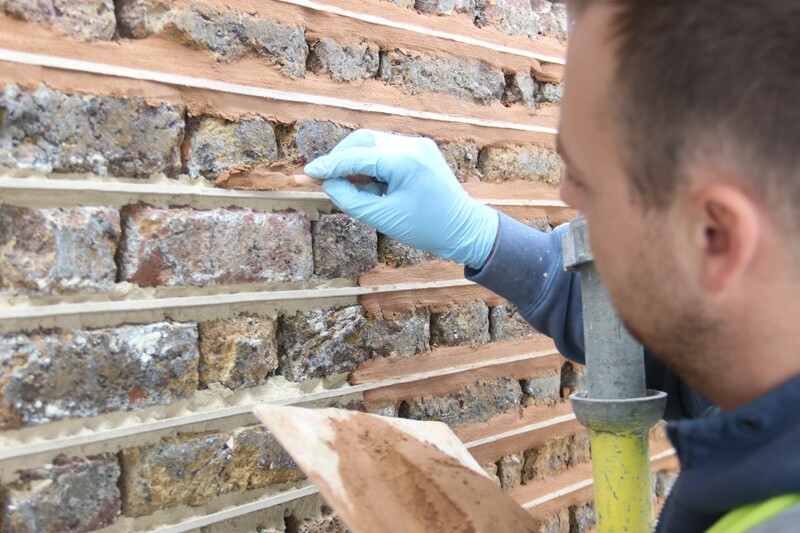 Much of this work, as well as the final lime tuck pointing was undertaken by newly trained craftspeople who adopted the skills with pride. The original railings surrounding the basement well had unfortunately been lost during the 20th century, so these were newly forged in wrought-iron and set on the surviving granite plinth, dressed with appropriate urn finials. 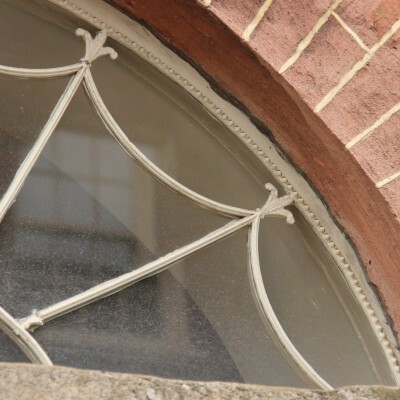 The doorstep and magnificent sheer granite pilasters to the front entrance were also reset, ensuring the survival of the delicate neoclassical fanlight which likely dated from modifications carried out in the first decades of the 19th century. After the house was enveloped and the interior structure secured, it was placed on the open market to be sold to an owner/occupier under the condition of residential use with commercial use at ground floor level. The sale benefited from ‘Section 19’ status - a tax designation of the Finance Act 1982 that the Trust secured for the house on the basis of its historic architectural significance. This allowed the eventual purchaser to amortise their tax liability against completion of the interior conservation and restoration works. The advertised sale was issued on a tender basis and attracted over thirty-five applicants. A suitable purchaser was chosen who committed to the terms of the sale and the full restoration of the interior. 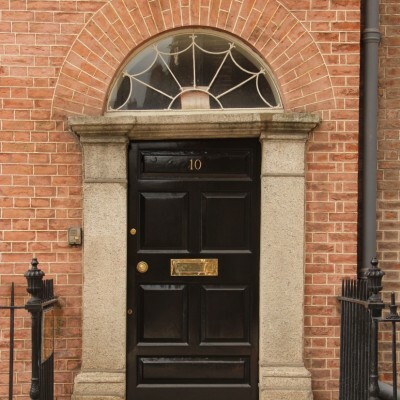 Happily, the same family still occupy the house as their home and workplace, demonstrating the timeless versatility and appeal of Dublin’s street houses.